Great infill site for townhome/condo project, assisted living center, apartments or single family development. Excellent location, fantastic city views and access to three public streets. If you are looking for the right land development opportunity, this is it! Douglas H. Barber has been a licensed real estate practitioner and REALTOR® in Colorado since 1975 (current broker license No. ER184371), when he joined the sales staff of The Rawhide Company, REALTORS®. He is presently President and Broker of that company. He literally grew up working in the business, assisting his father who had been developing and selling Colorado and Wyoming real estate since the 1950's. Barber holds a degree in Real Estate and Construction Management from the University of Denver (1977). While at D.U., he was Charter President of Rho Epsilon, a professional real estate fraternity. He was later accepted to the Denver University Law School, but did not attend. Real estate education has continued, with Barber earning the CRB (Certified Real Estate Brokerage Manager), GRI (Graduate Realtors Institute), Master of Real Estate (MRE), and e-Pro (for technology use), RCC (Residential Construction Certified), REDS (Real Estate Divorce Specialist) and SRES (Senior Real Estate Specialist) designations. He has also taken training for other residential and commercial investment designations. 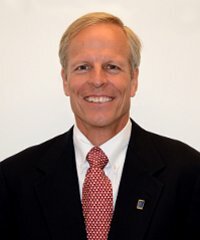 Doug has attended over 70 hours of mediation training, is a member of the Mediation Association of Colorado, and his practice includes real estate and contract dispute mediation and real estate litigation consulting. Barber contributed many years of service in leadership of the REALTOR® organization, serving as a Director for the Pikes Peak, Colorado and National Associations of REALTORS® where he served on and chaired many committees. As a National Director, he has served on the Risk Management and Professional Standards committees. He was Chairman of the Board of the Pikes Peak Association in 2002-3, and was its REALTOR® of the Year in 2004-5. He provides pro-bono mediation and arbitration services for REALTOR® Associations. Barber teaches continuing education real estate classes statewide for REALTOR® Associations and real estate companies large and small. Courses include ethics, fair housing, negotiation, risk management, professional standards enforcement, risk management, contracts, survey issues and water law for brokers, title insurance, negotiation, as well as the Colorado Division of Real Estate Annual Update class. Barber is a licensed general contractor and owner of Rawhide Homes, Inc., and is hands-on active in building custom homes and general construction work. He also handles all aspects of developing land subdivisions, the firm having been involved in development of some 6,000 acres in Teller, Park and El Paso Counties. He trains Rawhide salespeople, and actively lists and sells real estate, specializing in land and residential properties. He provides real estate and development consulting and counseling services, and has ample experience creating and serving on homeowner association boards and architectural review committees. He has been qualified as an expert witness in real estate matters in various Colorado Courts. Barber has been served the community in various capacities over the years (youth hockey coach, Boy Scouts, symphony, volunteering at Silver Key Senior Services, taught for Project Business, testified at public hearings regarding various land use requests, etc). In 1985-6 he was named Chair of the Black Forest Citizens Advisory Committee by the El Paso County Commissioners for revising and developing a County Land Use Master Plan for the Black Forest planning area. Doug is an Eagle Scout. His favorite activities include travel, scuba diving, mountain climbing, flying, skiing, guitar, reading and writing.